This tour runs every day from April to October. This trip is public, and the group is limited to 8 people. If your group is larger, please contact us about arranging more guides. 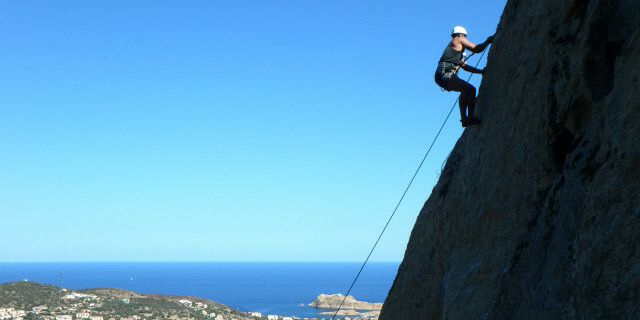 The route is not advanced, but it's recommended to have a decent level of physical fitness. The shuttle also runs from Ile Rousse or other villages. Please contact us for further information. What to bring? Please bring a small snack and a small bottle of water. Remember to wear a swimsuit, sneakers, and sunscreen. There is no storage for your items, so please only bring the essentials with you. Make a splash on your next holiday. 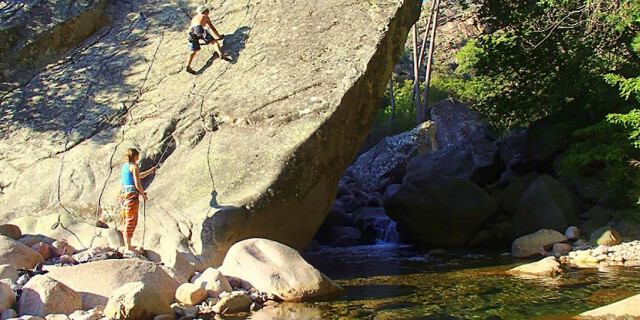 The intricate rock formations of the Ruda Canyon in Corsica Natural Park provide endless canyoning fun. 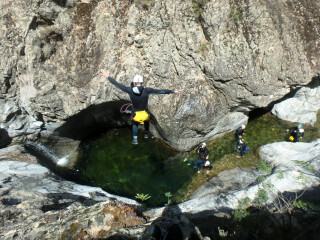 Jump, slide and swim your way through the flowing Golo River. 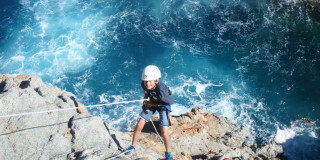 This descent down the many ravines and gorges offers fun at every turn. 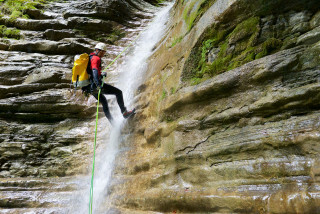 You rappel alongside waterfalls, zip down natural rock slides, and jump from as high as 8 m (26 ft) (high jumps are optional). Thanks to an ancient volcanic explosion, Corsica’s landscape provides steep granite valleys and countless waterfalls, making an ideal adventure spot. After a few hours, the group stops for a lunch in the forest and a rest from the action. Learn about the wildlife and mountain landscape around you as you take in the fresh air. Then, continue on for more water exploration. 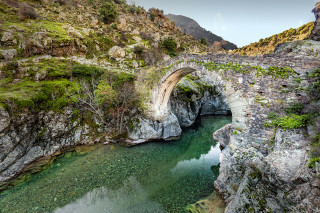 The end of the 4-5 hours of adventure brings you to an old stone Genoese bridge, a part of the La Scala di Santa Regina, a several-hundred-year-old path through the mountains. 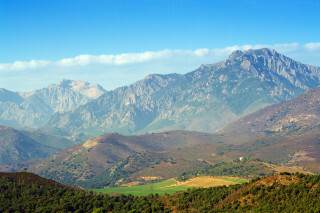 You simply can’t miss a visit to the gorgeous wildlife of Corsica Natural Park. 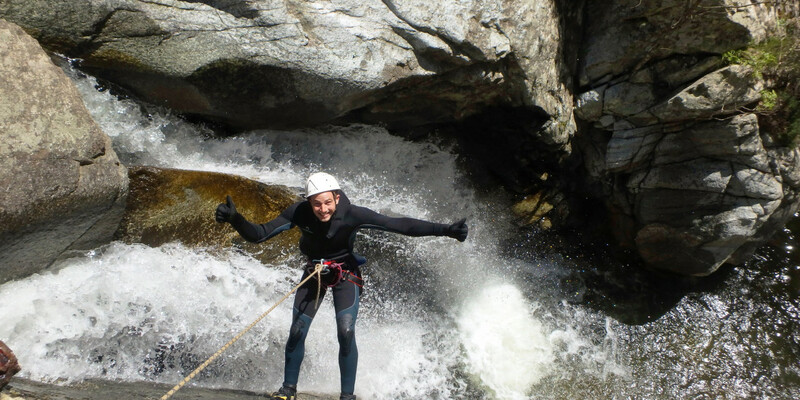 With your adrenaline high and your smile wide, canyoning is the right way to be a tourist.